Anne Boleyn was the second wife of Henry VIII and the mother of Elizabeth I. Henry's desire to divorce his first wife and marry Anne helped bring about the English Reformation. 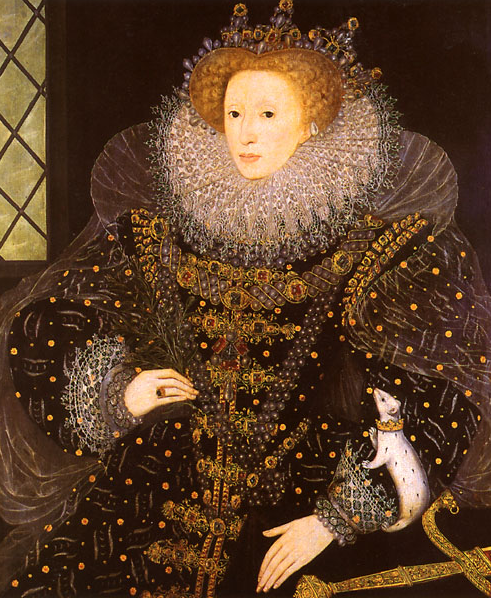 She was the first English queen to be publicly executed. Please Join us in the Chapel to hear intimate music and recitations of song, verse and letters directly related to Anne's life. The Shakespeare Band explores the music of early Scotland through the context of the women's roles in Shakespeare's MacBeth. This Hauntingly beautiful and and magical music combined with texts from the play, transport us to the inner-world of lady Macbeth and the witches . Sonnets and Love songs - Elizabethian sonnets, love songs and lute music. ​Their music and Soliloquy Program combines music that was likely used in Shakespeare's original productions with text from the corresponding scripts. The program is an embodiment of early music research that identifies the songs Shakespeare alludes to in his plays; it is intended to be a small scale recreation of the multi-layered, sensual experience of Shakespeare’s original patrons. When Shakespeare’s plays were realized on the Elizabethan stage, they were full of popular music of the day. Shakespeare used music to frame the emotion of a scene, to joke with the audience, and to imply meanings. The original audiences at the Globe had an elevated experience: music, a powerfully evocative art form, was used in conjunction with Shakespeare’s sublime poetry. A modern audience misses much in the omission of this musical dimension. Through lute and soliloquy, the audience is transported into an emotional portrait of Shakespeare’s time that is as potent now as it was then. Music, a universal language, opens a doorway to a rediscovery of Shakespeare’s poetry. Specializes is The music of Shakespeare's time and takes the audience on a journey of lutes songs and Lute solos by John Dowland and original tunes referenced in Shakespearean plays as well as music popular during the English Renaissance. The duo features voice and lute, a combo that was commonly employed in 16th and 17th century England. This is an authentic, delightful doorway into the sounds native to Shakespeare as he wrote his famous works. additional Based in Cincinnati, we are happy to travel to your area. Music of John Dowland and his contemporaries. Our Program Offerings may be adjusted in length and number of players depending on needs and budget. Please don't hesitate to contact us and see what works. Contact us now and reserve your date!